Information modelling and knowledge bases are now essential, not only to academics working in computer science, but also wherever information technology is applied. 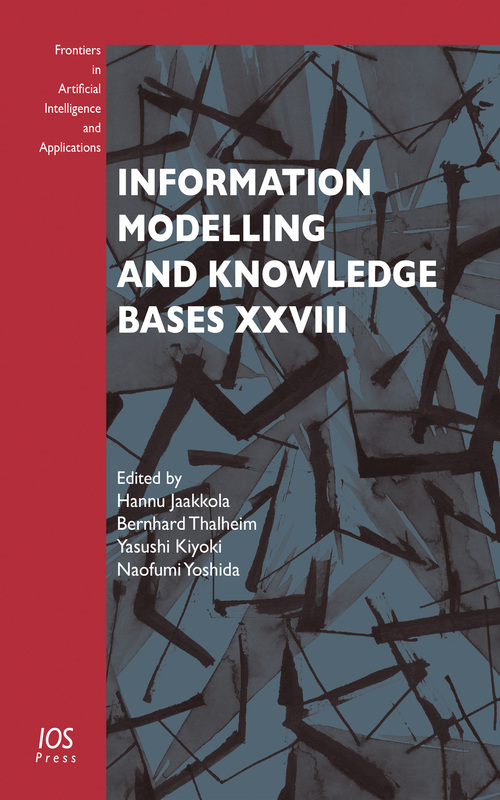 This book presents papers from the 26th International Conference on Information Modelling and Knowledge Bases (formerly the European Japanese Conference – EJC), which took place in Tampere, Finland, in June 2016. The conference provides a platform to bring together researchers and practitioners working with information modelling and knowledge bases, and the 33 accepted papers cover topics including: conceptual modelling; knowledge and information modelling and discovery; linguistic modelling; cross-cultural communication and social computing; environmental modelling and engineering; and multimedia data modelling and systems. All papers were improved and resubmitted for publication after the conference. Covering state-of- the-art research and practice, the book will be of interest to all those whose work involves information modelling and knowledge bases. Editors: Jaakkola, H., Thalheim, B., Kiyoki, Y., Yoshida, N.